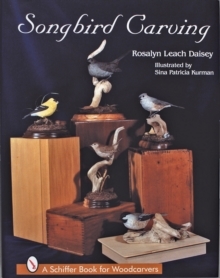 Songbird Carving is a unique book that can be appreciated on two levels: first, as a step-by-step set of instructions, with exquisite photographs and hand-drawn illustrations covering techniques of carving, texturing, painting and mounting of five songbird projects; second, as a work of art unto itself. The five songbird projects featured are the Black-capped Chickadee, Tufted titmouse, American Goldfinch, House Wren, and Catbird. 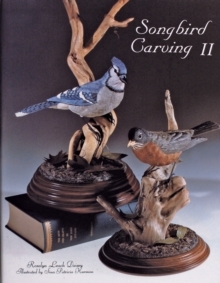 To complement the instructions there are chapters on tools and supplies, the basics of carving song birds, and the birds habitats. The carefully organized text and clear step-by-step illustrations provided an unsurpassed guide to this form of carving.